In recent years, with the increasing incidence of cervical cancer, it is a tedious and time-consuming task with unsatisfying accuracy to manually recognize the cells. Machine recognition can be a good solution, but it suffers from the difficulty of obtaining precise edges of cells, which directly influence the final recognition accuracy. To improve the recognition accuracy and shorten the time used for cell recognition, an AGVF-Snake (Adaptive Gradient Vector Flow-Snake) model for the extraction of cell edges has been proposed in this paper. Firstly, the cell is initially located by the improved Canny algorithm. Then, the adaptive initial contour model and gradient vector model are used to obtain accurate cell edges. Finally, the PSO–SVM (Particle Swarm Optimization-Support Vector Machine) classifier is selected to recognize the cervical cells. Herlev dataset is used to verify the AGVF-Snake algorithm; the accuracy of two and seven classifications are recorded. Six other classification methods are introduced for comparison. According to the experimental results, the accuracy of two and seven classifications can achieve up to 99%, which are better than other six methods. 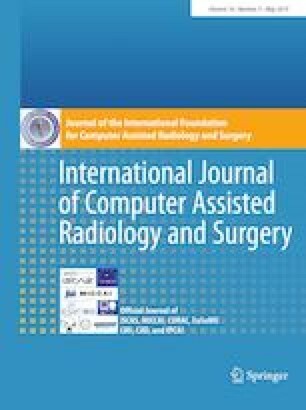 The experiment results show that the proposed algorithm has obvious recognition advantages, and thus provides an effective methodological framework for the diagnosis of cervical cancer diseases. The authors would like to thank the associate editor and reviewers for their valuable comments and suggestions that improved the paper’s quality. This study was funded by the Nature Science Foundation (Grant Number 61773282). This article does not contain patient data.